I had a coffee date with an incredible mom/entrepreneur/business coach/branding guru/friend today. She is so wise and insightful in so many ways, but one thing she said really struck with me: “Motherhood is a rebirth. You don’t lose who you were, you just discover this incredible new version of you that you never knew before.” Yes. Nothing could be more true. My son is turning ONE at the end of this month. It has taken me the better part of a year to come to grips with the fact that life will never be the same as it was before his arrival. That uninterrupted quiet time at home that I took for granted before (and so hilariously thought would remain after his birth) is no more. For the first few months of his life, I struggled, desperately, trying to hold on to life as it used to be, while just adding on the whole “keeping a newborn alive and thriving” thing. That was the only way I knew how to function. Do everything. On my own. Be a highly functioning entrepreneur. Work harder. Be impressive. Be that woman who does it all and makes it look easy. And then…a rebirth. Everything I need to do must be carefully orchestrated now. I had to readjust my priorities (a sparkling clean house has dropped far down the list). I had to trim the proverbial fat and get real about what I was and wasn’t willing to give up. Was it worth it to me to give up uninterrupted time bonding with my son to build my social media following? Nope. I had to re-learn how to ask for help. I thought I had the “asking for help” thing down before, but something in me revolted after becoming a mother. I felt like I had to do it all on my own. It felt like asking for help was admitting defeat. “Shouldn’t breast-feeding come naturally? Why do I need so much help with this? !” “Aren’t newborns supposed to sleep 20 hours a day??? Why won’t mine sleep at all? !” “Why can’t I ever put him down without him crying?” “I don’t remember my Mom asking for help. I don’t remember my mom getting babysitters so she could get things done. She just did it all and made it look effortless (Mom - you’re wonder woman). She had three kids and I only have one! How could I be failing so miserably already?! No comparison - you just do you. You don’t know where anyone is on their journey or why their situation is the way it is. Keep all those parts of your old situation that serve you well, and embrace all the amazing possibilities in your new situation. Trim the fat and get strategic about what you can do in the same 24 hours everyone else has. Take the winding road. The straight path is boring. Drop those expectations of having a beautifully planned, perfected, and predictable life. Expect the unexpected. The reality is, trying to build a business, meeting client deadlines, trying to maintain a marriage, a household, a social life, fighting to keep some precious time for self-care, oh, AND being a mom, is total insanity. And I only have one baby… But is it possible? Yes. It’s just not going to look the way I thought it would look. My coffee date reminded me of that. Motherhood is not losing your old life of freedom, energy, and business prowess. It’s a rebirth into this new identity, with new understanding and appreciation for what really matters in life. A beautifully prepared, staged, and photographed meal may get a lot of likes on instagram, but is it going to be authentic to my real life, or to millions of other parents who are just struggling to get something nutritious into their mouths and the mouths of their family? Not likely. With all that said, this has been my year of rebirth - as a woman, a mother, a wife, a daughter, a friend, and a business owner. I’ve taken all my previous assumptions and misconceptions and tossed them out the window. Only open-mindedness and the courage to keep moving forward remain. There is no room for unrealistic expectations, comparison, judgement or bias - only the realization that every one of us is doing the very best they can with what they have. I am committed to being fully present in whatever it is that I’m focusing on - not feeling torn in a dozen different directions at any given moment. As a result, you may hear from me here a little less frequently, but I promise when you do it will be straight from my heart; full of truth. I may keep a smaller client load for the time being, but know that if you make it onto my client roster, you are getting my full attention and dedication to doing my best work for you. Friends may see me a little less frequently, but don’t worry, we’ll pick up right where we left off - I still love you. I may entertain and make delicious, beautiful meals WAY less frequently, but when I do, it will be cherished. Things won’t look quite the same for Jeanne Reilly RD, but I think they will be so much better - so much more true. This is life. Rebalance. Reassess. Rebuild. Renew. Rebirth. 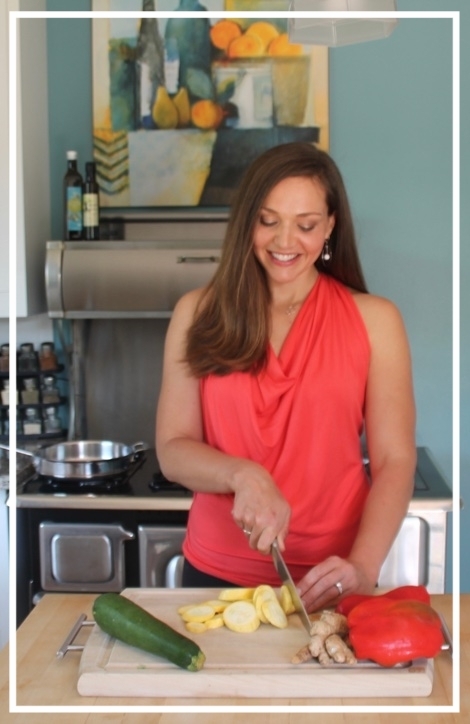 When I started Jeanne Reilly RD, I wanted to offer my experience and knowledge in the field of nutrition to help everyone and anyone live their healthiest lives. It wasn’t until recently that I realized sharing my personal story, what led me to where I am today, was the very best way I could serve as inspiration to others. This is why my practice is focused on empowering parents everywhere to help their children develop lifelong healthy relationships with food, their bodies, and themselves. I provide all the insight and support I can to any parent out there who has a child struggling in these areas. Our children don’t have to struggle with food and their bodies, and as parents, neither do we. Let’s keep the lines of communication open. Let’s talk to our children. Let’s talk to each other - without judgement. Let’s ask for help, suggestions, and support when we need it. I’m always available for help. Just say the word (and don’t judge me if you hear my kid playing or screaming in the background while we’re on a call).